﻿ Best Price on Hotel Las Farolas in Antigua Guatemala + Reviews! 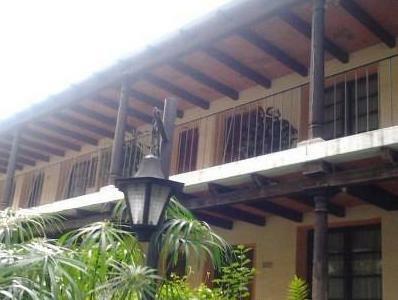 This charming hotel is located in the center of Antigua Guatemala, a UNESCO World Heritage Site. It offers elegant accomodation and beautiful gardens, just a 5-minute walk from the Cathedral and Central Park. The spacious colonial-style rooms at Hotel Las Farolas have scenic garden views and come with plasma cable TV, free Wi-Fi, a safe and a fan. The private bathrooms include a hairdryer and free toiletries. Restaurante Las Farolas serves gourmet Guatemalan cuisine, while local and international dishes are available from room service. Several bars, restaurants and shops are within 5 minutes’ walk. The city is famed for its Baroque architecture. Staff at reception can provide information about Antigua Guatemala and help plan tours all over the country. Las Farolas offers free private parking for guests and is a 35-minute drive from Guatemala City and 40 minutes by car from La Aurora International Airport. The breakfast is included on the rate only for adults, children must be pay a fee daily.